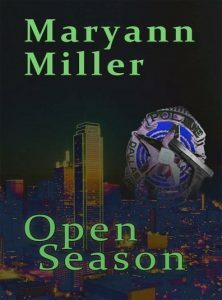 From the award-winning author, Maryann Miller, comes the first book in a critically-acclaimed mystery series. Embroiled in a serial murder case, Dallas homicide detectives Sarah Kingsly and Angel Johnson come to terms with public and personal racial unrest as they track a serial killer and try to make a partnership work. Think “Lethal Weapon” set in Dallas with female leads.